cocoa research | WHY DO WE LOVE CHOCOLATE? To safeguard the future of the cocoa trade and industry and to ensure the consumer receives high quality chocolate products, there is a need to ensure continuing supplies of good quality cocoa at prices which provide a worthwhile return to all those involved in the cocoa chain, from growers through to chocolate manufacturers. It is currently estimated that 70% of the world’s cocoa is grown by small farmers using traditional labour-intensive systems of husbandry. Improvements in productivity are therefore largely dependent on the work of the Research Institutes in the producing countries and of the few plantation companies who have expertise and facilities. However, much work still remains to be done to ensure that cocoa production meets world demand, especially in the face of high pest and disease pressures and changes in land use patterns. Therefore, Cocoa Research (UK) has taken an important role in supplementing the cocoa research financed by producing countries and ensuring that the results of this research are disseminated to the whole cocoa community. In the UK, there has been a strong interest in cocoa research for over 70 years. Much of this pre-competive work has been supported by chocolate manufacturers and the cocoa trade, either individually or through their trade associations, together with support from the public sector and international sources. 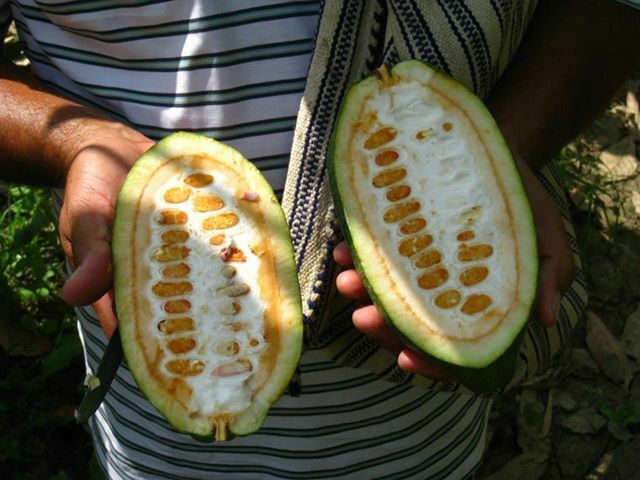 The research has either taken place within producing countries but funded/managed within the UK or has actually been undertaken by scientists (both UK and from cocoa producing countries) in British research institutes and universities. 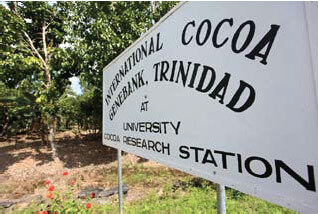 One of the most important cocoa research groups is based at the University of Reading. This group has been active for over twenty five years and has specialised in research that cannot be easily conducted in producing countries. Reading has strong international links, including a number of research institutes in cocoa growing countries, such as CRU (Trinidad), CRIG (Ghana) and CRIN (Nigeria). Reading has close ties also with other research institutes within the UK, for example with University of Aberystwyth, University of Greenwich, Imperial College London and also with research institutes outside of the UK, such as CIRAD and USDA. The University of Reading has received funding for cocoa research from industry associations such as CRA Ltd (supported by Cadburry/Kraft, Mars Inc. and NYSE Liffe) and CR(UK) Ltd (managing the UK Bufferstock Fund) and individual chocolate companies as well as from the CFC, USDA and the governments of Ghana and Malaysia Lyd. The Dutch (former) Ministry of LNV, through its Bufferstock, has been an important sponsor of cocoa related research at this university. 2.Physiology in connection with the environment (e.g.,Genotypic characteristics under different environmental regimes – climate change, productivity and sustainability under stress, plasticity and stability of responses, genomic and epigenetic interactions with environment). Chocolate manufacturers in the UK have a long history of supporting cocoa research. Much of this work was carried out on behalf of the indusry by its trade association, the Biscuit, Cake, Chocolate and Confectionery Association (BCCCA) and its predeccessors, which administered contributions from some UK chocolate manufacturers to support a cocoa research programme for over 65 years. The programme was complemented by research funfed by two trusts funds set up by the Cadburry family in the 1970’s which were administrered on behalf of the cocoa industry by BCCCA’s cocoa research committee. One of these, The Ghana Cocoa Growing Research Association Ltd., was set up to support research which would primarily benefit cocoa growing in Ghana and West Africa whilst the other one, The Cocoa Research Association Ltd. was focussed on supporting research at the Cocoa Research Unit in the University of the West Indies, Trinidad, which would benefit cocoa growing worldwide. At the end of 2007, the menbers of BCCCA dedided to wind-up that association and to transfer most of its activities to a sector group within the UK Food and Drink Federation (FDF). However, it was agreed that the cocoa research programme would be transferred to CRA Ltd., since CRA Ltd. had been administrared by BCCCA for many years and shared its cocoa research objectives. CRA took over BCCCA’s existing cocoa research commitments and now administers the contributions from UK cocoa manufacturers, NYSE Liffe and other sources to support this ongoing research and future projects. All these UK organisations have been very grateful to receive co-financing from the LNV Dutch Buffer Stock Fund towards the jointly funded projects.